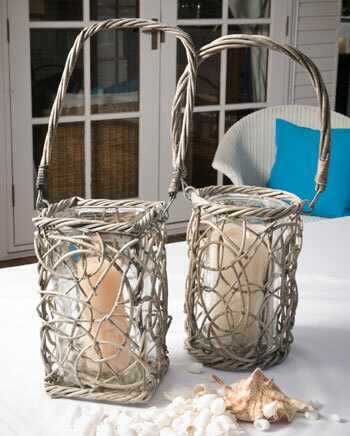 Keep the breeze away from your candlelight with this fabulous basket lantern. Pictured with Square Basket Lantern. Also Available.